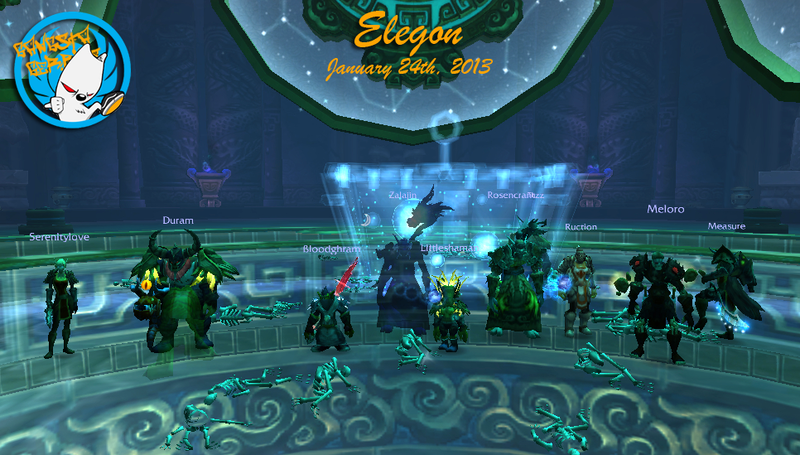 The Gangstas defeated Elegon for the first time the other night. I had no doubts that we’d get him. Our previous attempt was really the first time we’d seen him and we almost got him into his final phase. So this time we pushed and pushed and he hit the floor. We also got the “And…It’s Good!” Achievement which is hilariously fun to do. It involves being punted through the “goal post” by one of the adds right before Elegon. Fun Stuff! Oh! I almost forgot! If you’re looking for a raiding family then check us out. The Gangsta Gerbils raid team is part of the From The Ashes guild on the Horde side of Perenolde-US. Right now we’re recruiting a Healer and a few good DPS. So if you’re interested please drop us a line. « Holy Cow! That’s a LOT of Pets in One Day! Congrats on the kill! 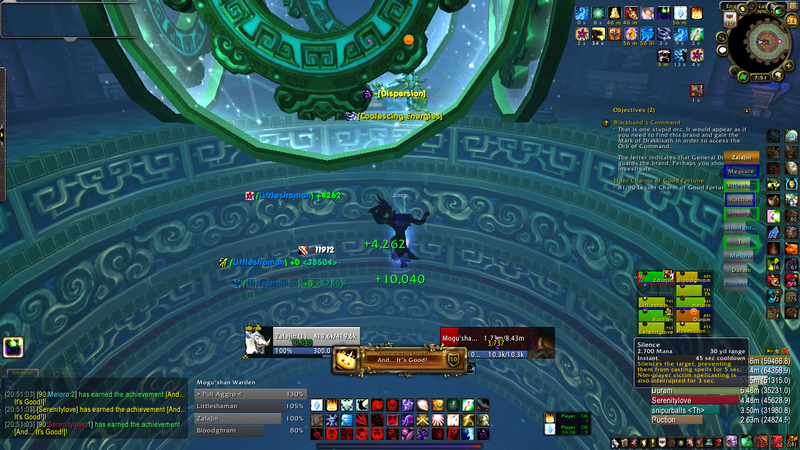 He’s my favorite fight of Pandaria, visually speaking. Thanks, I really like that fight too.